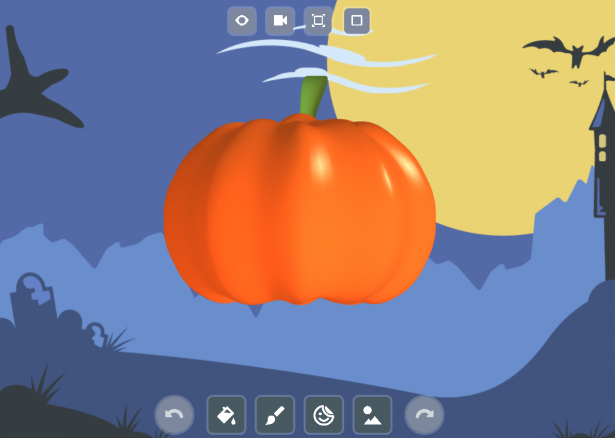 Carve Your Own Jack o' Lantern in SOLIDWORKS Apps for Kids! October is the best month of the year because it means Halloween is near! But there’s nothing worse than carving your pumpkin too early and having to watch it rot as the month goes by. Want to practice your pumpkin piercing? Don’t like getting squash guts and seeds on your hands? SOLIDWORKS Apps for Kids is here for you! Head over to SOLIDWORKS Apps for Kids and look for “October Pumpkin” in the public projects, then riff on it with your own creepy jack o’ lantern face design! Take the blank pumpkin canvas and create some spooky Halloween art! Use the draw functions in the Style It app to create your face, or maybe add some stickers and make your design shine. Be sure to share your creations on SOLIDWORKS Apps for Kids and on social media by tagging with #AppsForKids or #swappsforkids! We can’t wait to see what you’ll make! Be sure to check out our SOLIDWORKS Apps for Kids How To videos. To create your own Apps for Kids account, register now at: www.swappsforkids.com.